Kathmandu, 4 December : Miss Nepal Shrinkhala Khatiwada has secured her place in the top 30 of Miss World 2018. She won Beauty with a Purpose and Multimedia award which secured her place in top 30. 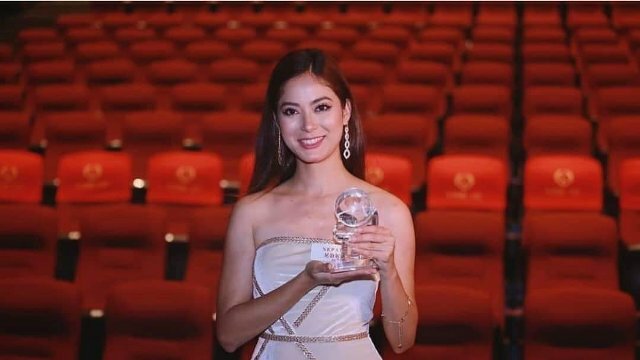 Khatiwada who is competing for Miss World 2018 crown in Sanya, China secured a win over other two multimedia award finalists – Mexico and Kenya and bagged a place in top 30 finalists’ berth in the beauty pageant. According to organizer, the overall Multimedia Award based on all social media platforms, audience engagement, creative content and influence secures the winner with a place in the top 30 of Miss World Final 2018. The 23-year-old architect, who was crowned Miss Nepal World in April this year, has also made the top 5 of Sanya tourism video award. Finaliya Galaiya (Kenya) bagged the award, closely followed by Peirui Mao (China PR). With Nepal in the third place, the fourth and fifth spots were secured by Dayanara Martinez (Puerto Rico) and Alisha Cowie (England), respectively. The final event is scheduled to take place on 8th of December. The reigning Miss World, Manushi Chhillar of India, will crown her successor at the end of the event.